The copies can help you get hotels, actually not all the hotels in China are brave enough to let you in when you only have copies of your passport left. 2, If you lose it in some middle or small size cities, report to the local police and get a formal Passport Losing Paper with the stamp of local Exit and Entry Administration on it, this may take about 3 days or even longer. I once helped one foreigner who lost passport in a small county, it caused a lot trouble. The local police asked for a "foreigner temporary living registration form " from the hotel where you stayed. This is necessary for you to get the new Passport and China Visa. 3. Go to the Ambassador of your country and get a new Visa, one my customer got his USA temporary Passport in 2 hours after talking to the officer in American Embassy, before go to the Embassy you need to download and fill some forms from the Embassy website and book a time to talk to the officer. 4. Get a China bank saving account and save some money in it, the sum of money must be enough to support your stay in China, in Beijing it needs 20000 RMB, but all depends if you plane leaves just several days later, maybe you just save several hundreds of USD. 5. 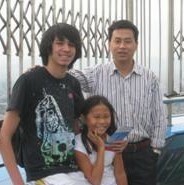 About the China Visa, My suggestion is that directly go to Beijing or Shanghai or other top-big cities in China to get your visa, in other cities the police there have no idea how to deal with this, one my USA friend wasted 5 days(including weekends) but got nothing done, just running around to get all useless papers like monkey. Finally we went to Exit&Entry Administration in Beijing, (it is in Dongcheng district, close to Yonghe Temple/Palace). Generally it takes about 3-5 days. But in emergency you can tell the police and let them hurry up, then you may get it in 2 days. Also you need to get a "Foreigner Temporary Living Registration Form" from a local hotel, with no real Visa, my American friend and I went to 3 hotels in Beijing finally found one small hotel to let us live in and agreed to give us the "Foreigner Temporary Living Registration Form". Then the police in Beijing can think now they have right to take charge of your case. 3. Losing Passport Provement from the Exit&Entry Administration police. 4. Money Savings provement from a China Bank(suggest Bank of China), in Beijing it may need 20,000 RMB. 5. A copy of your driving license or ID from your country.